BALL VALVE PN40 FF TEE 3/4" BSPGood quality full flow ball valves at competitive prices. 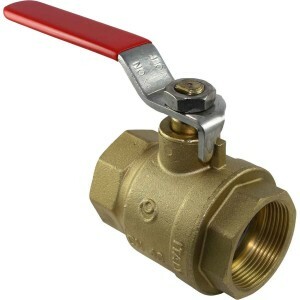 Suitable fo..
Ball Valve DZR Brass 1"
DZR BALL VALVEThe ISIS is a robust, dezincification resistant ball valve that is particularly suitab..
Ball Valve DZR Brass 1+1/2"
Ball Valve DZR Brass 1+1/4"
International Ball Valve DZR Brass 1/2"
Ball Valve DZR Brass 3/4"
Aquafax Ball Valve Nickel Plated Brass 1"
BALL VALVE FEMALE/FEMALE LEVERGood quality full flow ball valves at competitive prices. Suitable for..
Aquafax Ball Valve Nickel Plated Brass 1/2"
Good quality full flow ball valves at competitive prices. Suitable for industrial, pneumatic and hyd..
Aquafax Ball Valve Nickel Plated Brass 3/4"